Paving is a necessary maintenance that people in all towns in Bergen County need but it shouldn't be something hard for them to do. 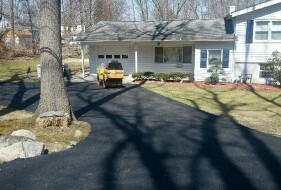 John was able to help this homeowner in Hackensack NJ with their asphalt driveway and made it simple to get it done. Using the proper machinery and quality asphalt this driveway project in Hackensack was started and finished with a smile on the owners face.